November 2011 – Platform r.f. A group show organised by Platform. Kuntsi museum of Modern Art, Vaasa, Finland, 4.12.2011–31.1.2012. The exhibition To have/To own at Kuntsi Museum of Modern Art in Vaasa is a part of a larger program organized by Platform in celebration of their first ten years of activities. Earlier this year Platform organized an international symposium and launched the catalogue, Don’t look back. With this program, Platform seeks to highlight the importance of their past and present activities to the artists who have participated, as well as the local community and the cultural life of Vaasa. The theme for the year 2011 To have/To own is a reaction to the on-going events where art as well as other aspects of society, have gone through huge social, cultural, economic and ecological changes. The selection of the theme is based on the hope that different artists’ and individuals’ reactions toward and understanding of the terms “to have” and “to own” would raise questions and generate discussion on cultural heritage, nomadic patterns, communication, independence, and sustainability. One part of the exhibition consists of the projects carried out by Platform artists-in-residence during 2011. From circa 270 responses to an open call on the theme of To have/To own, six artists were chosen to spend time in Vaasa. The artists had differing approaches to the theme. All of these projects will be presented in the exhibition. The other works in the show are based on collaborations. Active members of Platform have decided to form internal collaborations or invited other artists to either collaborate with them or participate in the show. The curatorial starting point for this part of the exhibition was to make the Platform members invest their artistic capital in a joint project – where collaboration is encouraged. The original goal of Platform was not to function as a forum for showing members’ work, but to serve as a facilitator for other artists. 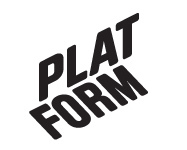 However, over time, Platform members have gradually become more artistically involved in Platform’s activities. For example, Platform created the artist group Cheap Finnish Labour, which initially provided the workforce necessary to realize other artists’ projects, but eventually, Cheap Finnish Labour went on to develop their own projects. Where Platform has been very much about being in Vaasa and engaging with community in Vaasa, Cheap Finnish Labor has sent artists from Vaasa out into the larger world, Istanbul, Venice, and Warsaw. Fanzine – konstpedagogisk material för lärare.